Car accidents have the potential to result in catastrophic injuries that leave victims to face a lifetime of hardship. When these accidents occur because of another driver’s negligence, victims have the right to be fully compensated for the losses they suffer as a result. Insurance companies are motivated to settle claims for as little as possible, regardless of the severity of the victim’s injuries. Having a qualified personal injury lawyer can help to ensure that you receive the compensation you deserve. 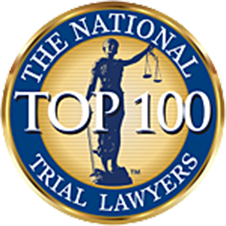 At The North Shore Injury Lawyer, attorney Mark T. Freeley represents Nassau County, Suffolk County and victims from across Long Island who have been seriously injured in an auto accident. Mark and his team focus everything they do on protecting the interests of injury victims. They take the time to gain a complete understanding of your injuries and what you will need to recover from them. Mark seeks full and fair compensation for your medical care, future care, loss of income, property damage and any other considerations relevant to your claim. Contact our office to schedule an appointment to meet with Mark about your auto accident. He offers a free initial consultation where you can have your questions answered and learn more about your legal options. You can reach Mark by phone at 631-495-9435 or contact us via email to get started. I recently attended The 30th Annual Conference on Legal Issues in Brain Injury in New Orleans which was sponsored by the North American Brain Injury Society (www.nabis.org). This was a three day conference and the presenters were nationally recognized neurologists, neuropsychologists, brain injury rehabilitation experts, and life care planners that specialize in brain injury. There are very few attorneys who have the knowledge to properly litigate and document accident cases involving brain injuries. This was my second brain injury conference and the technology needed to prove the nature and extent of brain injuries is improving. Therefore, if someone has sustained an accident related brain injury, it is crucial to select an attorney who is knowledgeable and sincerely interested in proving the brain injury to the insurance company and their lawyers so that fair and adequate compensation can be obtained. A concussion is a traumatic brain injury, although it often is not treated as such. Many times a person will be sent for a CT Scan or MRI of the brain after a car accident or a fall and be told it was normal and that they are fine. However, these tests do not show shearing injuries or damage to the white matter in the brain and tests such as DTI-MRI (Diffuse Tensor Imaging MRI) or fMRI (functional MRI) and others are necessary. Neuropsychological testing can also help to pinpoint the area of the brain affected. A Traumatic Brain Injury (TBI) mostly affects the frontal and temporal lobes of the brain (even without contact to the skull), and interferes with the connections and pathways between these two lobes. The frontal lobes control our socialization, experience and attention. The temporal lobes control our emotions. If their is damage to the orbital lobes, there may be vision or sensation disturbances, as well as headaches. Children are more at risk for TBI from rotation/whipping/rocking of their head due to the size of their head compared to the rest of their body and their lack of strong neck muscles. TBI in children is typically progressive and changes over time. Also, in a car accident, the head acceleration for a woman is 50% greater than for a man and they are at a greater risk for a TBI. This means that a 10mph car accident is like a 20mph car accident for a woman. Emotional issues, moody, irritable, loss of patience, people saying you are “different”, anxiety, PTSD (clenching teeth, jaw pain, sleep disturbances, and anxiety are all signs of PTSD). There is too much information to share in one article about concussions and brain injuries. However, if you have any of the above symptoms after being involved in an accident it is important to speak to a personal injury attorney that understands brain injuries, what you are going through and is committed to guiding you through the legal process. If you have any questions about an accident where a concussion, post-concussion syndrome, or traumatic brain injury is involved, feel free to call me to discuss how my knowledge can help you. When a driver hits a pedestrian or bicyclist, the potential for serious injury is extremely high. With nothing between them and the vehicle, victims are forced to absorb the entire impact, which can result in a wide variety of serious injuries. Negligent drivers can and should be held accountable for the harm they cause in these accidents, and an experienced lawyer can help to ensure that your interests are protected. At The North Shore Injury Lawyer, attorney Mark T. Freeley represents clients from Nassau County, Suffolk County and throughout Long Island who have been seriously injured in a bike accident, crosswalk accident or another type of pedestrian accident. Mark is an avid cyclist who has experienced firsthand the hazards that exist on New York roads. Mark’s firm is not a high-volume personal injury practice. He is not an attorney who accepts the first settlement offer and moves on to the next case. Mark prepares every case as if it is going to trial and works hard to keep your case moving toward a positive resolution. If the insurance company is not willing to negotiate in good faith, he is fully prepared to protect your interests in court. Mark’s understanding of the types of injuries that can occur in bicycle and pedestrian accidents allows him to be much more proactive in the process of securing fair compensation on your behalf. He seeks compensation for all of your losses, including medical care, future care and rehabilitative services, loss of income, loss of enjoyment of life and any other damages that may be appropriate to your case. Contact our office to discuss your bicycle or pedestrian accident injuries with Mark. 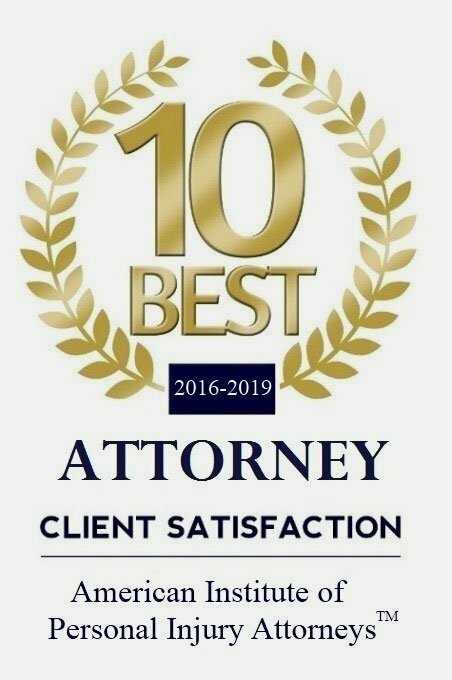 He offers a free initial consultation where you can get an honest assessment of your claim and learn more about your legal options. Please call us at 631-495-9435 or send us an email to schedule an appointment. Motorcycle riders have all of the same rights and responsibilities as any other driver on the road. In too many cases, however, drivers do not see motorcycles or simply refuse to recognize their rights, leading to serious motorcycle accidents that result in life-changing or even fatal injuries. If you have been injured or a loved one has been killed in a motorcycle accident that occurred because of another driver’s negligence, you likely have grounds to seek compensation for any losses you suffered as a result. These are complex cases that require the attention of a qualified personal injury lawyer who knows the law and has the ability to protect your interests. At The North Shore Injury Lawyer, attorney Mark T. Freeley understands the impact motorcycle accident injuries can have on victims. Broken bones, traumatic brain injuries, spinal cord injuries and others may never heal completely. In fact, many require a lifetime of care. Mark takes the time to fully understand the extent of your injuries and diligently pursues compensation that is sufficient to accommodate all your needs. Mark and his team pursue every available option in an effort to protect your future. When appropriate, they bring in medical experts, life-planning specialists, economists and others in an effort to present the strongest possible case in support of your claim for damages. Mark will be there with you at every step, diligently working to secure the best available outcome on your behalf. Mark represents clients in Nassau County, Suffolk County and Long Island. He offers free consultations at our office or another location that is convenient for you. Please call 631-495-9435 or contact us via email to schedule an appointment. The Federal Motor Carrier Safety Administration (FMCSA) and local New York statutes have established specific regulations that govern truck drivers’ activities. These rules were put in place to ensure the safety of the drivers and the motorists who share the road with them. When these regulations are not followed, it can create dangerous situations that put innocent people at risk. If you have been injured in an accident that occurred because of a truck driver’s error or misconduct, it is important that you seek the advice of a reliable personal injury attorney. At The North Shore Injury Lawyer, attorney Mark T. Freeley represents clients throughout Nassau County and Suffolk County who have been injured in accidents involving semi trucks and other commercial vehicles. Truck accidents can come about in many different ways, and there can often be multiple parties who may share in the liability for your injuries, including the driver and the trucking company, among others. Mark conducts thorough investigations to determine exactly how your accident occurred and who was responsible. He obtains the driver’s logbooks and any other documentation that could help us present a more compelling case on your behalf. Mark seeks full and fair compensation for your medical care, property damage, wage loss and other considerations in serious truck accident cases. Contact our office to schedule a free consultation. You can reach us by phone at 631-495-9435 or via email to get started. We are located in Woodbury, New York, and provide representation throughout Long Island.